Media organisations are still barely getting their heads around social media. They look at a conversation and see ‘vox pops’; they look at a community and see a market. They ask for ‘Your pictures’ and then complain when they get 1000 images of a mild snowfall. This entry was posted in online journalism and tagged 2009, gannett, guest post, Reuters, Shane Richmond, social media, Telegraph, Trinity Mirror, user generated content on December 3, 2008 by Paul Bradshaw. This entry was posted in online journalism and tagged 2020, Shane Richmond, social networking, video blogging on November 21, 2007 by Paul Bradshaw. I was looking to draw up a list of ten essential books on online journalism – but it seems to me that there are really only six (updated to 8, September 2010). For a different angle on the whole shebang: Gatewatching by Axel Bruns: not the most famous of books – perhaps because it is so far ahead of its time. Gatewatching looks at peer to peer publishing, and non-traditional news organisations: the likes of Slashdot, Kuro5hin, and Wikinews, among others. An essential read for an insight into how news reporting can be organised completely differently. See also: Digitizing the News by Pablo Boczkowski. For an authoritative history: Online News by Stuart Allan: a refreshingly rigorous look at some of the most famous moments in online journalism – Rathergate; 9/11; Drudge. Helps supply the reality behind the mythology. See also: Online Journalism by Jim Hall. For an essential challenge to your basic journalistic values in the new media age: Online Journalism Ethics by Friend & Singer: poses the questions we should all be asking ourselves, and is brave enough not to supply the answer. For the definitive guide to citizen journalism: We The Media by Dan Gillmor: doesn’t sit on the wall, but then Gillmor would be the first to point out that objectivity is dead. Not to be confused with the also very good We Media by Bowman & Willis (online only). For a good introduction to the basics of writing for the web I will obviously now recommend The Online Journalism Handbook by Liisa Rohumaa and I. 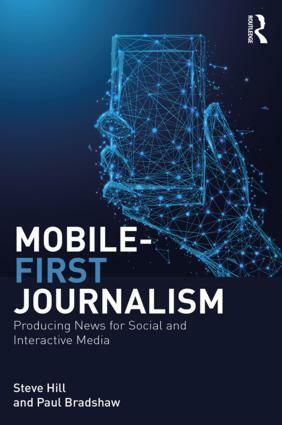 Also good: Digital Journalism by Mark S. Luckie which brings up to date some of the techniques first introduced in Journalism Online by Mike Ward, which is still worth reading. And Convergence Journalism by Janet Kolodzy and Convergent Journalism by Stephen Quinn focus specifically on multimedia. 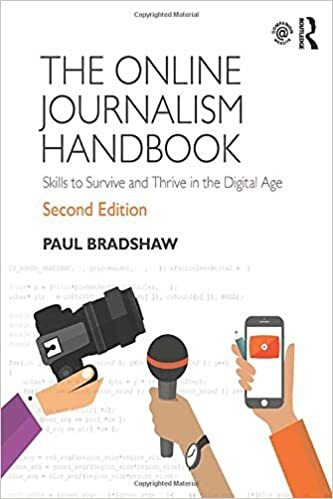 Also, download Journalism 2.0 (PDF) by Mark Briggs (thanks to Steve Yelvington in the comments for reminding me about this one). For a guide to interactive storytelling: Flash Journalism by Mindy McAdams: covers the ideas behind good multimedia interactives as well as the practicalities. ADDED SEP 2010: On community management, 18 Rules of Community Engagement is a great introduction. ADDED SEP 2010: On the enterprise side of things, Funding Journalism in the Digital Age (reviewed here) is a great introduction to the range of business models and experiments. ADDED JULY 2011: For a vital grounding in search engine and social media optimisation: The Search by John Battelle, beefed up with Click by Bill Tancer and The Facebook Effect by David Kirkpatrick. PS: I maintain an ongoing list of useful books for online journalists at My Amazon Associates store. If you’re in the US, you may prefer the Amazon.com version. UPDATE: It’s very true that blogs are a better source of up to date information and reflection on what’s going on now. Check out Shane Richmond’s list on must-read online journalism posts. This entry was posted in online journalism and tagged lists, online journalism books, Shane Richmond on November 7, 2007 by Paul Bradshaw.